Are your normal chopsticks just not ninja enough for you? 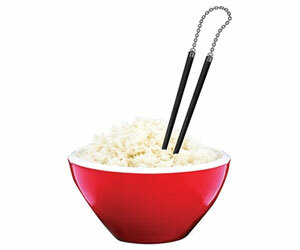 Well worry no more as the nunchuck chopsticks are here to save the day. Performing their duty as chopsticks excellently, they also look like a cool pair of nunchucks!